Strongly pushing for appointment of a Lokpal, the Supreme Court today said the existing Lokpal Act is a workable piece of legislation and there was no justification to keep its operation pending. A bench of Justice Ranjan Gogoi and Justice Navin Sinha was delivering judgment in a batch of public interest litigations filed three years ago by NGO Common Cause and Just Society and argued by Senior Advocate Shanti Bhushan, Advocates Prashant Bhushan and Gopal Sankaranarayanan seeking appointment of a Lokpal and Lokayuktas. It wanted that the Chairperson and the members of the body should be appointed as per the amended rules framed under the 2013 Act. The court was also of the opinion that there was absolutely no need to wait for amendments to the Act for enforcing it. Lokpal and Lokayuktas Act, 2013 came into force in 2014. The tone of the court order meant that the SC bench did not agree with the Centre that absence of leader of Opposition in Lok Sabha was delaying the appointments. The Bench observed that sub-section (2) of Section 4 makes it clear that the appointment of Chairperson or a Member of the Lokpal will not become invalid merely because of the reason of any vacancy in the Selection Committee. If, at present, the LOP is not available, surely, the Chairperson and the other two Members of the Selection Committee, namely, the Speaker of the Lok Sabha and the Chief Justice of India or his nominee may proceed to appoint an eminent jurist as a Member of the Selection Committee under Section 4(1)(e) of the Act. "We also do not see any legal disability in a truncated Selection Committee to constitute a Search Committee for preparing a panel of persons for consideration for appointment as the Chairperson and Members of the Lokpal and also for such a truncated Selection Committee to make 26 recommendations to the President of India for appointment of the Chairperson and Members of the Lokpal. True, there is no specific provision akin to sub-section (2) of Section 4 of the Act insofar as the constitution of the Search Committee by a truncated Selection Committee is concerned. 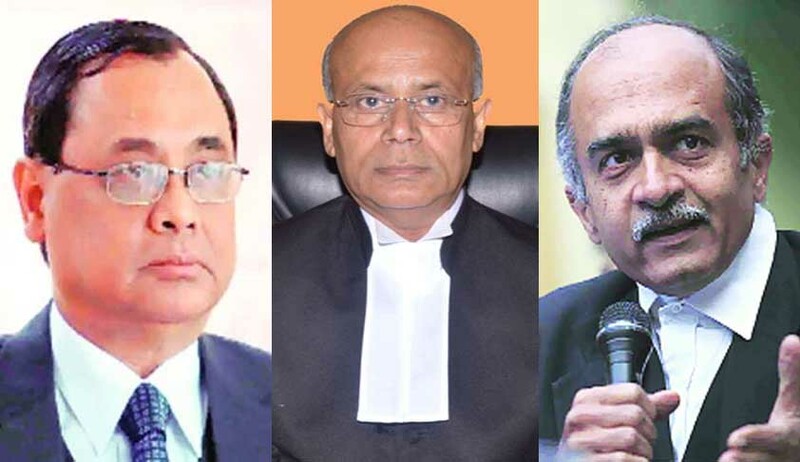 But the absence of such a provision, by itself, will not invalidate the constitution of the Search Committee by the truncated Selection Committee when the Act specifically “empowers” a truncated Selection Committee to make recommendations for appointment of the Chairperson or Members of the Lokpal", said the Bench. The Bench has observed that a consideration of the other provisions of the Act in respect of which amendments have been proposed, and the views of the Parliamentary Standing Committee in this regard which are available in its report, in our considered view, are attempts at streamlining the working of the Act and in no way constitute legal hindrances or bars to the enforcement of the provisions of the Act as it stands today. The bench had reserved its verdict on March 28. The Bench has concluded the Judgment quoting the following words of Justice Krishna Iyer In Reference, the Special Courts Bill, 1978 and holding that the Act as it stands today is an eminently workable piece of legislation and there is no justification to keep the enforcement of the Act under suspension till the amendments, as proposed, are carried out.